Seasoned real estate investors who have been in the business for quite some time can probably tell you a few stories about some of the earlier deals they tried to finance and why they didn’t go through. Many times the property being financed meant a loan amount of $300,000. The investor goes to the bank and the bank wouldn’t touch it because the deal was too small. At CIVIC, that’s not an issue. In fact, we specialize in transactions in the $250,000 to $2 million dollar range. Other investors can tell you how a lender would promise an approval, ask for a non-refundable deposit upfront and soon thereafter turn down the deal. Others can recall applying for financing on a multifamily property at a company only to discover the company is a broker and only originates the loan and doesn’t approve any part of the transaction. With CIVIC, none of that will happen. From the beginning to the end, CIVIC is there. Our transparent approval process means our clients know upfront what to expect, from how much down payment will be needed to the interest-only payments due each month, until the project has been completed and sold or permanent funding provided. 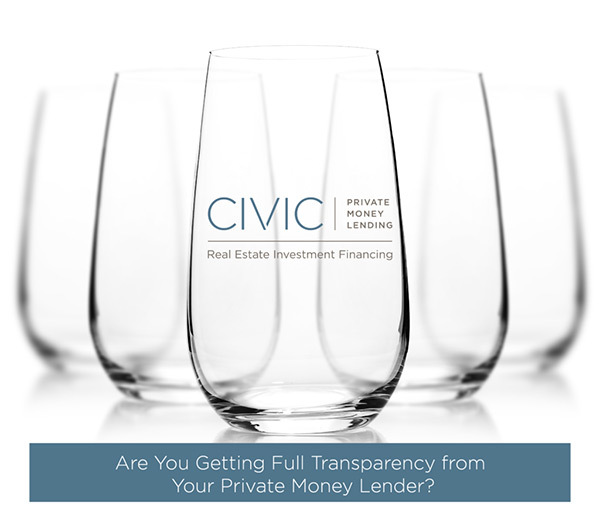 At CIVIC, we are the direct lender and we make the decisions. Our initial evaluation process fully vets each scenario so our clients know in advance what to expect and when. From the appraisal to underwriting to post-closing, CIVIC is there each step of the way.